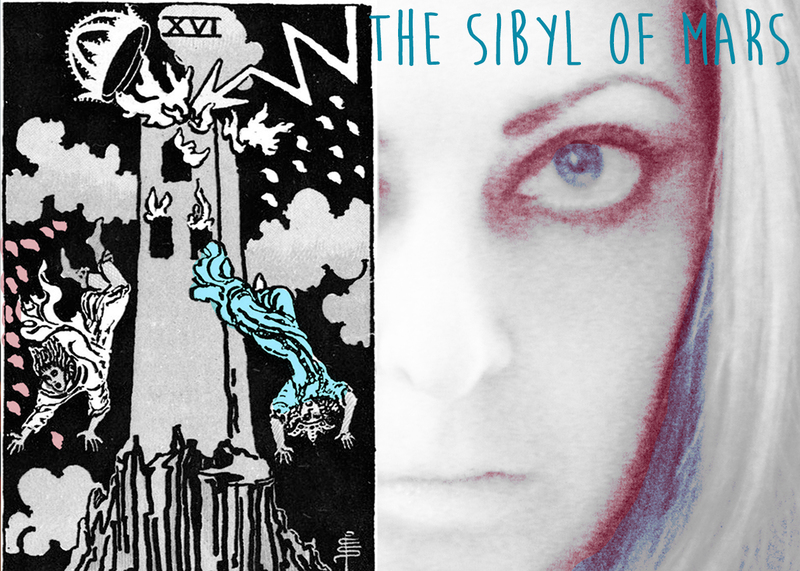 THE SIBYL OF MARS – PF18 Interview! Because I was lucky enough to be part of last year’s festival, fell in love, and re-applied for this year as soon as I could. I’m very excited to be back! I write science fiction, but I haven’t written any “hard scifi” before, so I decided to set myself that task. At the same time, I am very interested in interactive theatre and ways of engaging the audience that don’t feel like there’s a fourth wall. So I found a strange way to combine the two. Scifi is getting more popular in general because it is basically modern allegory – we use scifi to look to our future and think about how we might be affected by current events, but there’s a lot of symbolism and almost a prophetic sense about a lot of scifi. I love inspiring people to think about not just my show, but about the world that surrounds them in general, and think about it in a positive way, not just a fearful way. The show is gently interactive – I don’t pull people onstage against their will, I just ask them to pull tarot cards for me, and in some pieces, I speak to them in ways that allow them to answer, or not, and it’s fine either way. Each story has something to do with the first Martian colonists, like the process of getting them there, living there for the first few years, so I did a lot of research on what that would take. So the show is different every night, and you get different slices of scifi depending on what stories are drawn from the deck. Either Isaac Asimov or Arthur C. Clarke, but actually both because they were frenemies and I want to watch them argue about what the show means. I know and love a lot of the other artists participating this year, so it is hard to pick just one. But, I’m a big fan of modern dance and movement theatre, so I’m especially excited about Travelogue. But humans will make it green. SEE THE SIBYL OF MARS AT PORTFRINGE 2018!